Is Neill Blomkamp still interested in making a Halo movie? So of you many know that a Halo movie has been talk about for many years, yet has not come to fruition. Neil Blomkamp, the director of District 9, was one of the directors tapped for a Halo movie. While that has fallen short, it seems he still has interest in Halo. 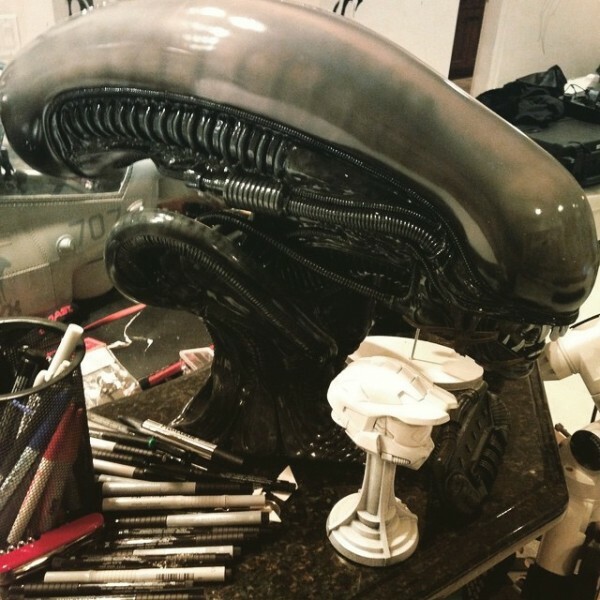 Earlier today I came across an article on Blomkamp showing pics from his instagram page of a secret “Aliens” project. It’s not an official thing, rather something he was toying around with. Doubtful there would be an Aliens/Halo cross-over, though that might be pretty cool! 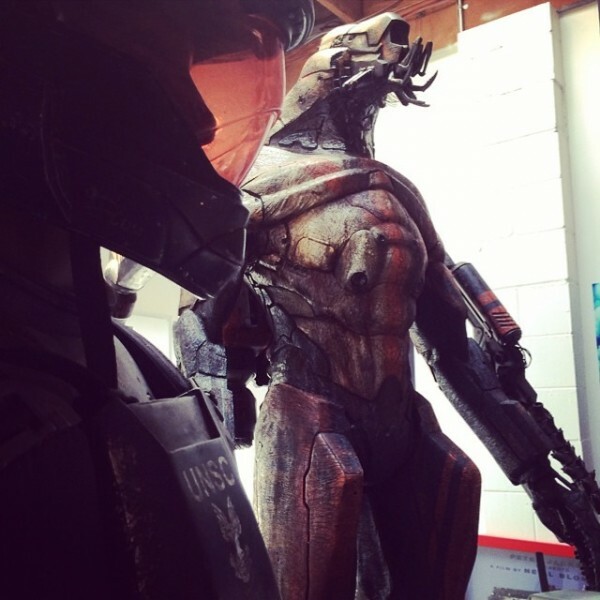 It’s important to note that Blomkamp’s work in Halo was long before these pictures were uploaded to his instagram account. So it has me wondering, if he would still make a Halo film? Personally, since he seemed to be the director with the most interest in the project, I’d be all for it. Many folks thought his movie Elysium had Halo-like elements to it. What are your thoughts on this folks? Would you be up for Blomkamp finally getting the go-ahead for a Halo movie? Do you like/dislike the Elite concept and/or armor? Reply below! If you’re not yet registered with HFFL, it’s free to do so! Check out the registration page HERE. This entry was posted in Halo Live Action Productions by Sal. Bookmark the permalink. I think it would be cool to get a halo on the big screen, but it has to be done right. It should be about halo 1 BUT have alittle info before the halos so people who are new to halo could get a grasp of the insight and know alittle more about halo and the spartans. then creating sequals from then on. Halo nightfall, failed to grasp the so some info about what halo is and what happened to it. So new people got a little confused and what happened and how that strange element was formed. It would be cool to if this director partnered up with Steven Spielberg and created something. I’m all for a halo movie Sal! Even though his elite is something that I REALLY dislike. 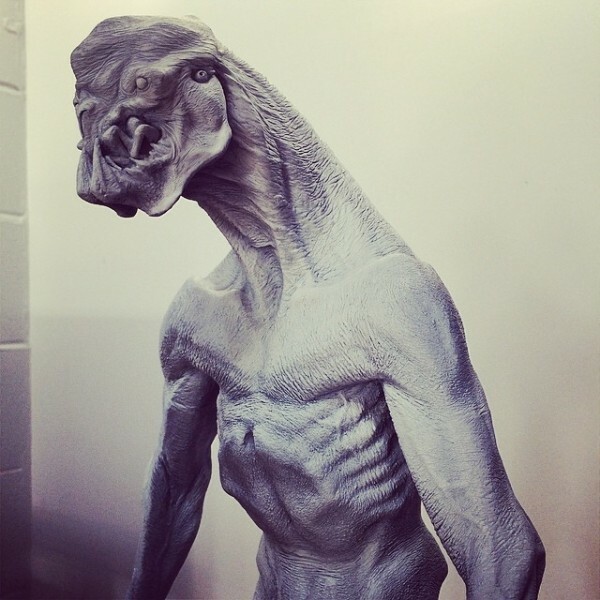 Even though It wouldn’t be a bad look for some other alien creature, it’s just not a sangheili. But does the Halo franchise really need a movie? That is the real question. And if there was a movie, what would it be about? I remember talks of adapting the book Halo: The Fall of Reach into a movie but the lore about the fall of Reach is a bit muddled. I would be all for it!!! It does if you look close. Mind you, that Elite image is a concept and would likely go through several iterations before coming to the final appearance in a movie. I’m betting that Microsoft would have the Elites look much closer to their appearance in the games. A professionally made halo movie would be amazing, someday it will happen. A Halo movie would be awesome, but the big question I have is what story will they portray? Would they try to do something like Fall of Reach? One of the short stories in Halo: Evolutions? Having witnessed how Hollywood handles books into movies I have a feeling that even if it did well in general that the changes inevitably made would be a disappointment to Halo Lore fans. That being said I hope that we do not have serious talk about this until after the release of Halo 5 as I want 343 focusing on that.